Our big giveaway event is finally here. Our apologies for the delay, as this was supposed to begin on April 24th. Sometimes life happens. But here we are: A big giveaway, worth over $140 total in prizes. 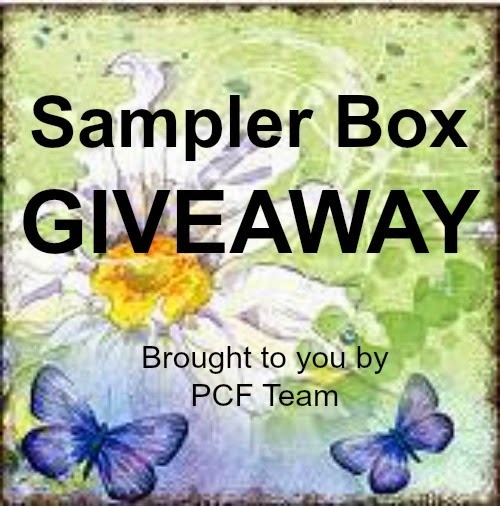 We will have TWO WINNERS, each winning one Sampler Box (contents of each box is valued over $68). Please learn about our Sampler Boxes and get a peek of contents here and check for box availability here. Our sampler boxes each consist of six quality, handmade sample products, ready for gift giving. 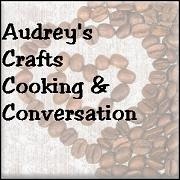 You get to sample items from six different Promoting Creative Friends shop owners! To enter this giveaway, there are two parts. 1. The social share pool. One winner will be chosen from this drawing. The more you share about this awesome giveaway, the more entries you earn. Plus, you'll earn 20 entries for completing ALL 1-entry options from Part Two. 2. The Etsy Favorites Pool. One winner will be chosen from this drawing for adding participating shops and items (from those participating shops) to your Etsy favorites. You need to be an Etsy member to complete all entries for this pool of entries. ALSO - If you purchase a box from one of the available shops listed, you will receive 10 entries for the giveaway! PLUS - If you make a purchase from ANY participating shop, you will receive 10 entries for the giveaway. Giveaway is open to US/Canada residents and ends on May 25th, midnight, Eastern Time. So here we go, let's do this!!! Good luck to all entrants. 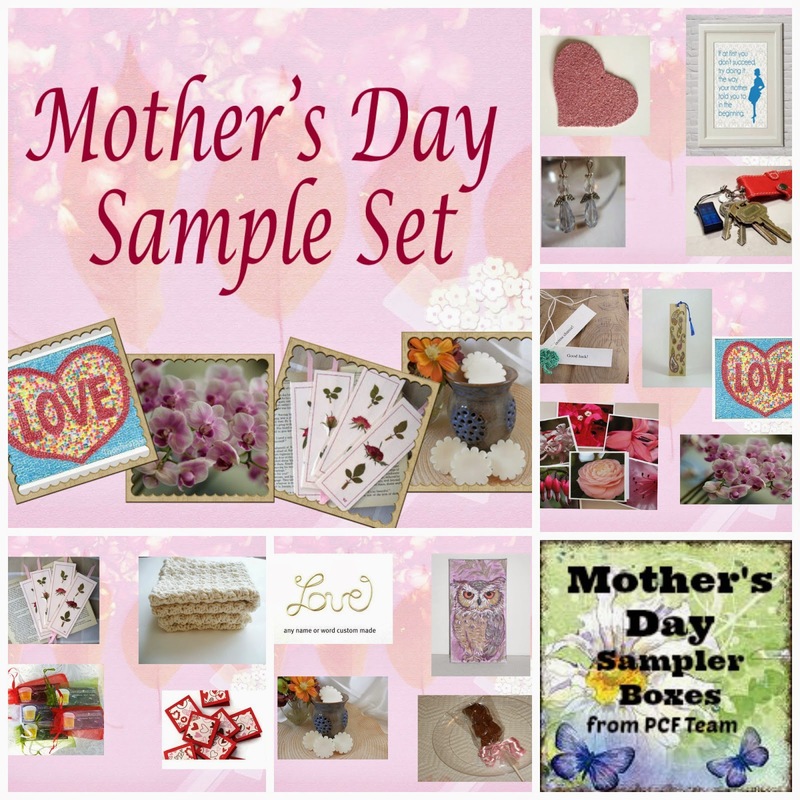 Remember that our Sampler Boxes will make EXCELLENT Mother's Day Gifts. You can purchase one in time for Mother's Day by simply visiting our availability blog post.